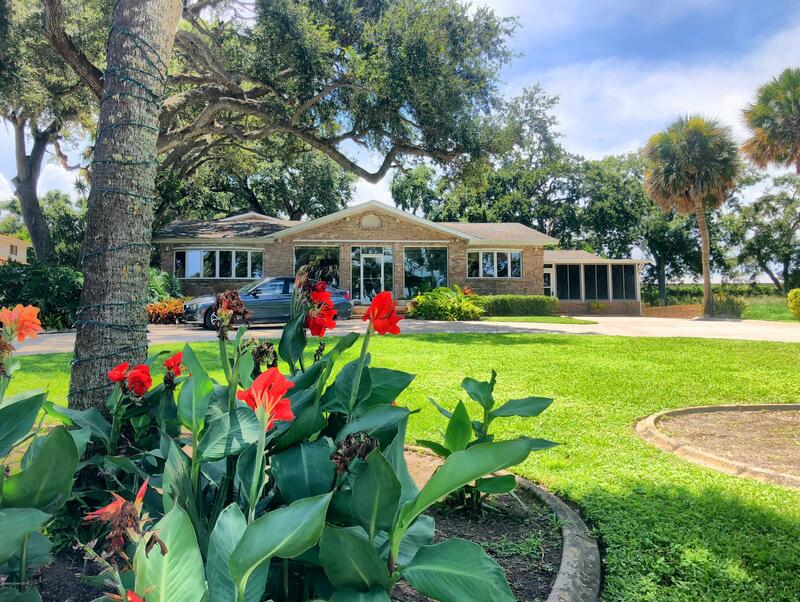 One of the Indian River's only large compound properties once owned by Major League Baseball Umpire, Joe Brinkman. Nestled in between US Route 1 with a secure gated entrance and desirable Indian River Drive, this property offers an expansive and private compound with a center courtyard and and screen-enclosed pool. There is a large dock, boat lift, boat house right on the water and the property includes a pool, hot tub, guest house, and garage building with it's own apartment. The view from the main house overlooking the Intracoastal Waterway is spectacular and sunrises here are breathtaking. The entire property is situated on a bluff for ideal storm protection. Contract in place with a 72 hr kick-out. Please continue to show.